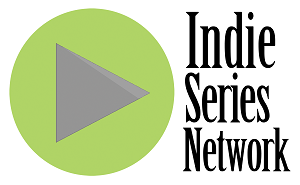 In the last Indie Series Network and Serial Scoop "Web Series of the Week" (#WSOTW) poll, 47 Secrets To A Younger You was voted favorite indie series for the week. It's now time to catch up on latest episodes and vote for your favorite series in this week's poll. You can also cast a vote for your favorite actor, actress and web series couple/duo. Voting ends Wednesday, November 11 at 4 p.m. ET (one vote per person per day). Web series that aired one or more new episodes from October 31-November 6, 2015 are eligible. If a web series aired this week and is not on the list, cast your vote as "Other" and write in the name of the show. - About Us Season 2 Episode 6 "Where From Here?" - Anyone But Me "Lost Scenes, Part 10"
- Cantabridgia Episode 2 "Hyperventilation Happens"
- Carmilla Season Zero Episodes 5 "The Missing... Link" & 6 "Suspicious Minds"
- Classic Alice Episodes 97 "Count That Day Lost" & 98 "Confessional: Nathan"
- Family Problems Episodes 56 "Down" (season premiere) & 57 "Up"
- From Mansfield With Love No.96 "Onwards and Upwards" & No.97 "Crumbling"
- How I Seize It Episode 189 "Karma"
- In Retrospect Episode 4 "The Beach"
- Jill & Jack Episode 16 "Jill and Jack do James Bond"
- LARPs Season 2 Episode 5 "Crossover"
- Match Not Found Episode 5 "The Right Move." - MsLabelled Season 2 Episodes 9 "How To Ask for Help Without Getting Hugged" & 10 "How Not To Save The Day"
- The Realm Path 10 "Memories of Myself"
- Remainder One Episode 17 "Drama, Drama, Drama"
- Sensitive Episode 3 "When Sisters Knock"
- Sessions Season 2 Episode 5 "Appreciation List"
- Triangle Season 2 Episodes 2 "Haunted Past" & 3 "Shady Breakups"